A programme of songs by Elgar, Quilter, Debussy, Strauss, Sibelius and Jonathan Dove. Sarah Leonard is a resident of Beckenham, and one of Britain’s most respected and versatile sopranos. 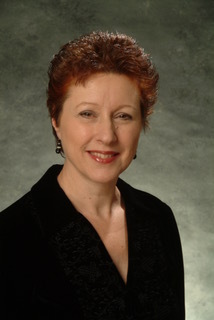 She has a wide repertoire from baroque to contemporary and has appeared throughout the world in major concert halls, opera houses and festivals. She has premiered many works by leading composers including Harrison Birtwistle, Pascal Dusapin, Jonathan Harvey, Helmut Lachenmann, John Harle and Joe Cutler. Her 30-plus recordings include a recital series of English Song with Malcolm Martineau, works by Varèse with Chailly and the Concertgebouw Orchestra and Ligeti’s Aventures, Nouvelle Aventures with the Schoenberg Ensemble, In Praise of Dreams by Joe Cutler for NME. January 2017 saw the release of vocal works by Nicola LeFanu and David Lumsdaine with Gemini Ensemble for Metier, and The Silver Hound, new recordings of songs by Betty Roe. In 2018 she recored Joe Cutler’s Akhmatova Fragments on his highly acclaimed new CD Elsewhereness on NMC. Sarah regularly gives song recitals with pianist Stephen Gutman. These have included recitals at the BMIC’s Cutting Edge series, Benslow Music’s Summer Festivals, The Clothworkers Centenary Hall and The London Song Festival. They are delighted to be returning for a third time to St. George’s Beckenham. Alongside her performing career Sarah teaches singing in London and holds popular singing courses with Stephen Gutman, at Benslow Music and Jackdaws. She also gives regular workshops and master classes at Trinity Laban. 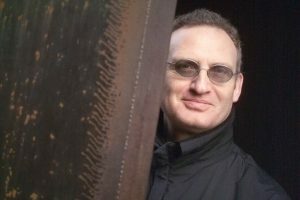 British pianist Stephen Gutman has performed in the Royal Festival Hall, the Wigmore Hall, Carnegie Weill Hall in New York, Ueno Bunka Keikan in Tokyo, and throughout Europe. Stephen is passionately committed to the music of our time; some of the many composers who have written pieces for him include Julian Anderson, Tansy Davies, Michael Finnissy and Colin Matthews. Stephen’s enthusiasm for French keyboard repertoire including the French Baroque led to his well-recieved recording of the complete keyboard works of Rameau played on the modern piano for Toccata. The final CD was chosen as CD of the month by MusicWeb International and received 5 stars in BBC Music Magazine. Other recordings are available on NMC and Avid Records, and his performances have been broadcast on BBC Radio 3, Deutsche Rundfunk and France Musique. Stephen has given piano masterclasses in the UK and internationally. He is a regular coach on courses at Benslow Music and Jackdaws. His contribution to a new book on the music of Simon Holt, a chapter on the piano music, was published in 2017.